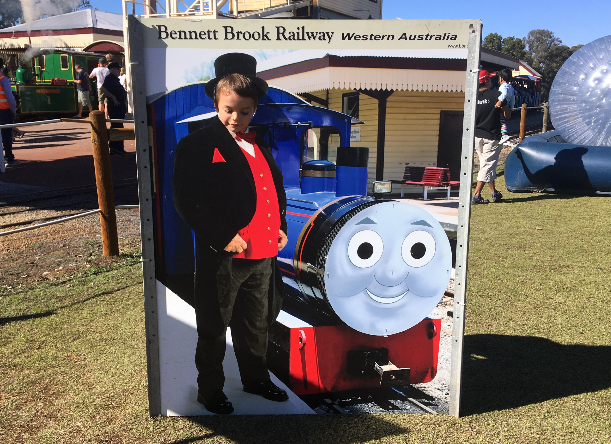 Meet Bennett Brook Railway’s favourite steam train, Ashley and all of his engine friends in this fun family event that only happens twice a year! The whole tribe will love the Ashley and Friends steam trains. 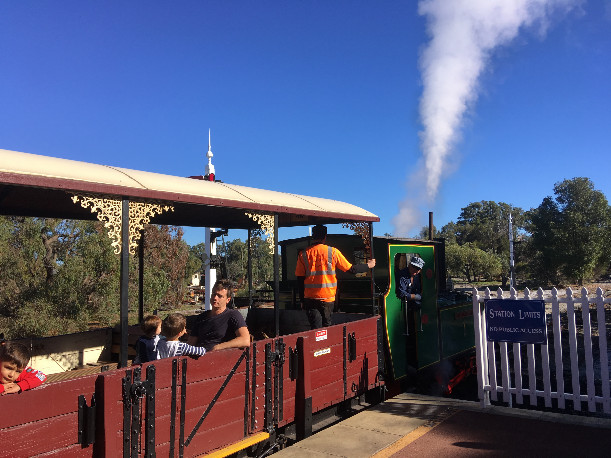 The Bennett Brook Railway at Whiteman Park hosts The Ashley and Friends Day in May and September. 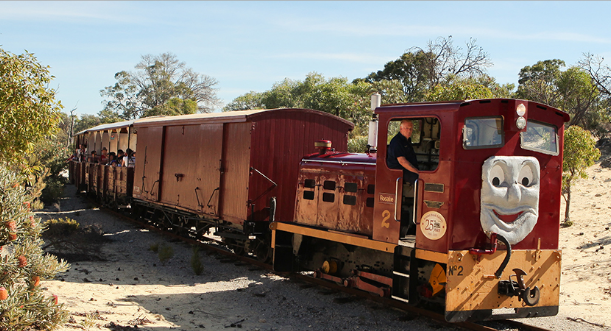 Bennett Book Railway is proudly owned and operated by volunteer members of the Western Australian Light Railway Preservation Association. 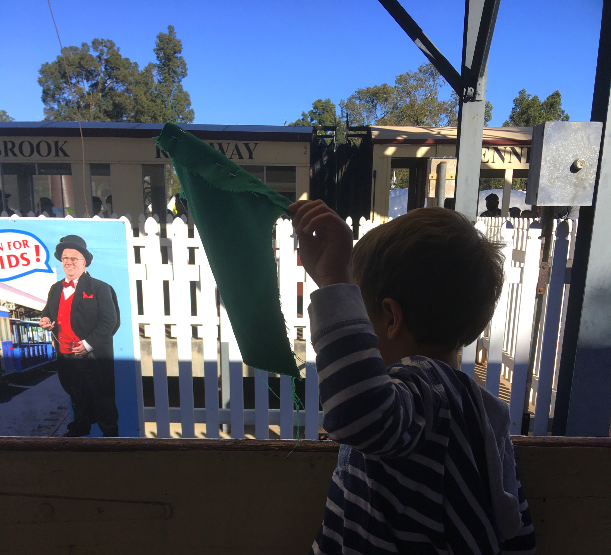 This is your chance to meet Bennett Brook Railways’s little steam engine Ashley and all his friends – Planet, Rosalie, Betty Thompson and Wyndham. Our tribe loves diesel and steam engines, so we get there early every year to make sure we get a front carriage. The trains are noisy and smelly and there is nowhere else in the world we would rather be. 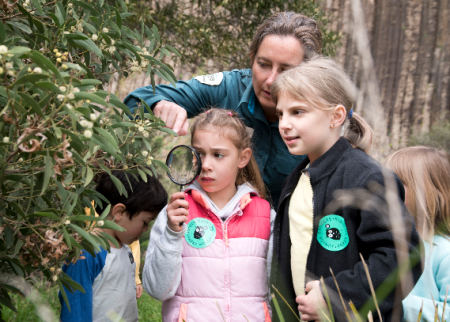 There is a 6km track around the beautiful grounds of Whiteman Park Bushland and if you look closely enough you might see a kangaroo or two. 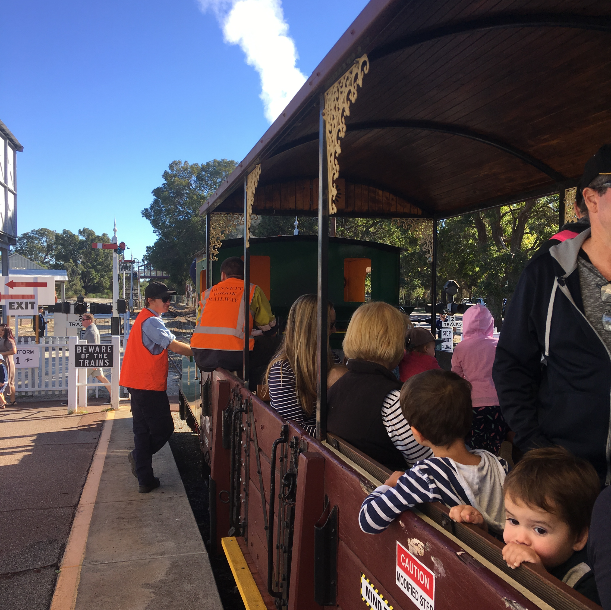 The ticket includes unlimited heritage train rides on all three trains, unlimited heritage bus rides, bus museum displays, fire engine displays, entry to Revolutions Transport Museum and farm animals. There are rides for the kids, food vans for an additional cost and plenty of grassed area to bring your own picnic and enjoy the sunshine. 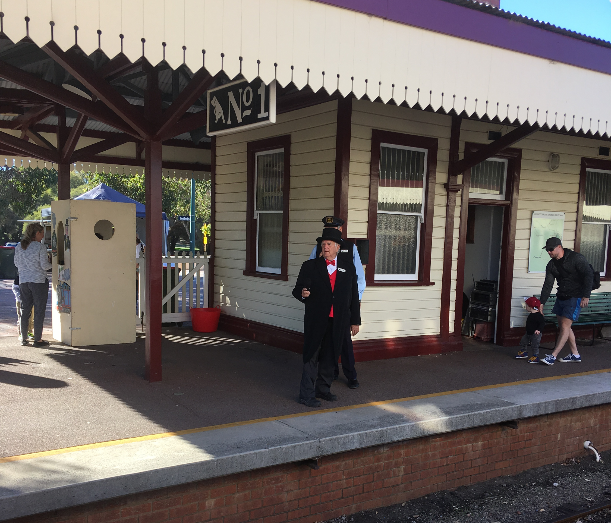 Bennett Brook Railway are always looking for passionate volunteers as train staff and maintenance workers. This place would not survive without the help of some amazing people. See website for more details. The next Ashley and Friends Day is on September 9, 2018 so don’t miss it! Love steam trains? You might also want to check out this fun attraction.